Lodged snugly in a lush valley alongside the M90, Perth’s biggest drawcard is historical Scone Palace, but the city’s grand Georgian buildings by the banks of the River Tay possess their own splendour. This market town was once a weaving, dyeing and glove-making centre and Scotland’s capital. Today it exudes a demure pride, suggesting the town walls have not forgotten their past significance, Perth is not simply quaint, though; embedded in the centuries-old architecture skirting the cobblestone streets is a cosmopolitan vibe, reflected in imaginative cuisine, welcoming pubs, historical sites and a gallery or two. Perth’s rise in importance derives from Scone, 2 miles north of the town. In 838, Kenneth MacAlpin became the first king of a united Scotland and brought the Stone of Destiny to Scone. An important abbey was built on the site. From this time on, all Scottish kings were invested here, even after Edward I of England stole the sacred talisman, carting it off to London’s Westminster Abbey in 1296. In 1996 John Major persuaded the Queen to promise to return it to Scotland, but it went to Edinburgh Castle rather than back to Scone. From the 12th Century, Perth was Scotland’s capital, and in 1437 James I was murdered here. There were four important monasteries in the area and the town was a target for the Reformation movement in Scotland. 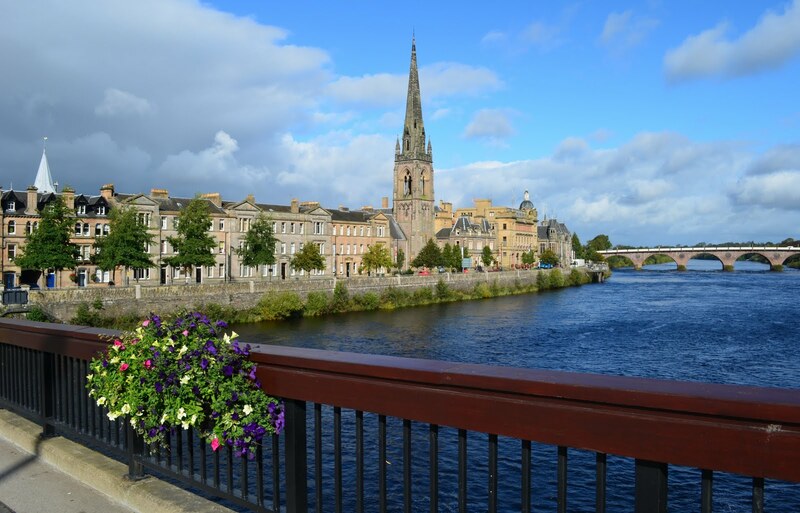 Perth is a must-see attraction on your tours of Scotland.